The Gilded Age. The name, popularized by American author Mark Twain, conjures images of gold and jewels, lavish palaces, and wealth beyond imagination. And indeed, during the period we know as the Gilded Age — the late 1800s to the 1920s — American business leaders amassed huge fortunes, creating a suddenly-rich baron class with a fondness for ostentatious displays of newfound wealth. Millionaires built palatial and often gaudy homes in New York City and summer "cottages" on Long Island and in Newport, Rhode Island. Before long, even refined families like the Astors, who had been wealthy for generations, joined in the whirlwind of architectural excesses. In large cities and then in upscale resort communities, noted established architects like Stanford White and Richard Morris Hunt were designing enormous homes and elegant hotels that mimicked the castles and palaces of Europe. Renaissance, Romanesque, and Rococo styles merged with the opulent European style known as Beaux Arts. The Gilded Age of architecture usually refers to the opulent mansions of the super-wealthy in the United States. The well-to-do built elaborate second homes in the suburbs or in rural settings while at the same time many more people were living in urban tenements and the decaying farmlands of America. Twain was being ironic and satiric in naming this period of American history. The Gilded Age is a time period, an era in history with no specific beginning or end. Families had accumulated wealth from generation to generation — profits from the Industrial Revolution, the building of the railroads, urbanization, the rise of Wall Street and the banking industry, financial gains from the Civil War and Reconstruction, the manufacturing of steel, and the discovery of American crude oil. The names of these families, such as John Jacob Astor, live on even today. 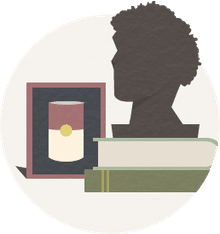 By the time the book The Gilded Age, A Tale of Today was published in 1873, authors Mark Twain and Charles Dudley Warner could easily describe what was behind the ostentation of wealth in post-Civil War America. "There is no country in the world, sir, that pursues corruption as inveterately as we do," says one character in the book. "Now here you are with your railroad complete, and showing its continuation to Hallelujah and thence to Corruptionville." For some observers, the Gilded Age was a time of immorality, dishonesty, and graft. Money is said to have been made off the backs of an expanding immigrant population who found ready employment with men of industry. Men such as John D. Rockefeller and Andrew Carnegie are often considered "robber barons." Politcal corruption was so pervasive that Twain's 19th century book continues to be used as a reference for the 21st century U.S. Senate. In European history this same time period is called the Belle Époque or the Beautiful Age. Architects, too, jumped on the bandwagon of what is often called "conspicuous consumption." Richard Morris Hunt (1827-1895) and Henry Hobson Richardson (1838-1886) were professionally trained in Europe, leading the way to making architecture a valued American profession. Architects the like of Charles Follen McKim (1847-1909) and Stanford White (1853-1906) learned opulence and elegance by working under the leadership of Richardson. Philadelphian Frank Furness (1839-1912) studied under Hunt. The sinking of the Titanic in 1912 put a damper on the boundless optimism and excessive spending of the era. Historians often mark the end of the Gilded Age with the stock market crash of 1929. The grand homes of the Gilded Age now stand as monuments to this time in American history. Many of them are open for tours, and a few have been converted to luxury inns. The great divide between the wealthy few and the poverty of many is not relegated to the end of the 19th century. In reviewing Thomas Piketty's book Capital in the Twenty-First Century, economist Paul Krugman reminds us that "It has become a commonplace to say that we are living in a second Gilded Age — or, as Piketty likes to put it, a second Belle Époque — defined by the incredible rise of the 'one percent.'" So, where is the equivalent architecture? The Dakota was the first luxury apartment building in New York City during the first Gilded Age. Today's luxury apartments are being designed all over New York City by the likes of Christian de Portzamparc, Frank Gehry, Zaha Hadid, Jean Nouvel, Herzog & de Meuron, Annabelle Selldorf, Richard Meier, and Rafael Viñoly — they are today's Gilded Age architects. Is wasteful and ridiculous excess." Many of the Gilded Age mansions have been taken over by historic societies or transformed by the hospitality industry. 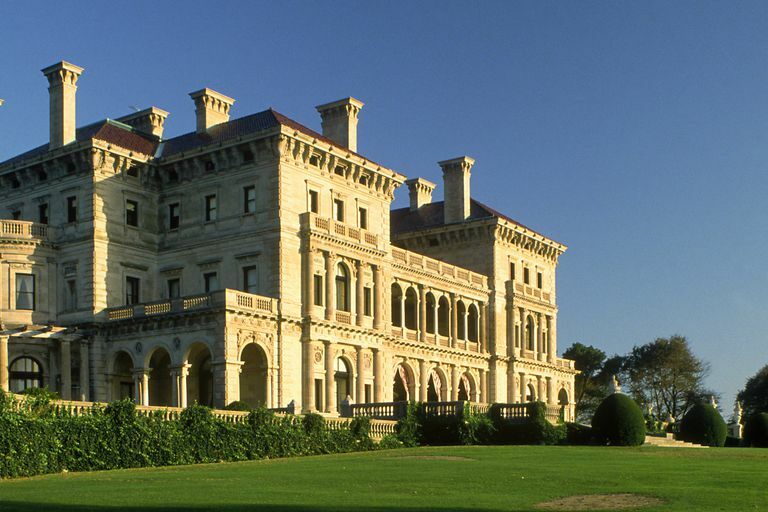 The Breakers Mansion is the largest and most elaborate of Newport's Gilded Age cottages. It was commissioned by Cornelius Vanderbilt II, designed by architect Richard Morris Hunt, and built oceanside between 1892 and 1895. Across the waters from the Breakers you can live like a millionaire at Oheka Castle on Long Island in New York State. Built in 1919, the Châteauesque summer home was built by financier Otto Hermann Kahn. Biltmore Estate and Inn is another Gilded Age mansion that is both a tourist attraction and a place to rest your head in elegance. Constructed for George Washington Vanderbilt at the end of 19th century, Biltmore Estate in Asheville, North Carolina took hundreds of workers five years to complete. Architect Richard Morris Hunt modeled the house after a French Renaissance chateau. Vanderbilt Marble House: Railroad baron William K. Vanderbilt spared no expense when he built a house for his wife's birthday. Designed by Richard Morris Hunt, Vanderbilt's grand "Marble House," built between 1888 and 1892, cost $11 million, $7 million of which paid for 500,000 cubic feet of white marble. Much of the interior is gilt with gold. The Vanderbilt Mansion on the Hudson River was designed for Frederick and Louise Vanderbilt. Designed by Charles Follen McKim of McKim, Mead & White, the Neoclassical Beaux-Arts Gilded Age architecture is uniquely set in Hyde Park, New York. Rosecliff Mansion was built for Nevada silver heiress Theresa Fair Oelrichs — not a household American name like the Vanderbilts. Nevertheless, Stanford White of McKim, Mead & White designed and constructed the Newport, Rhode Island cottage between 1898 and 1902.